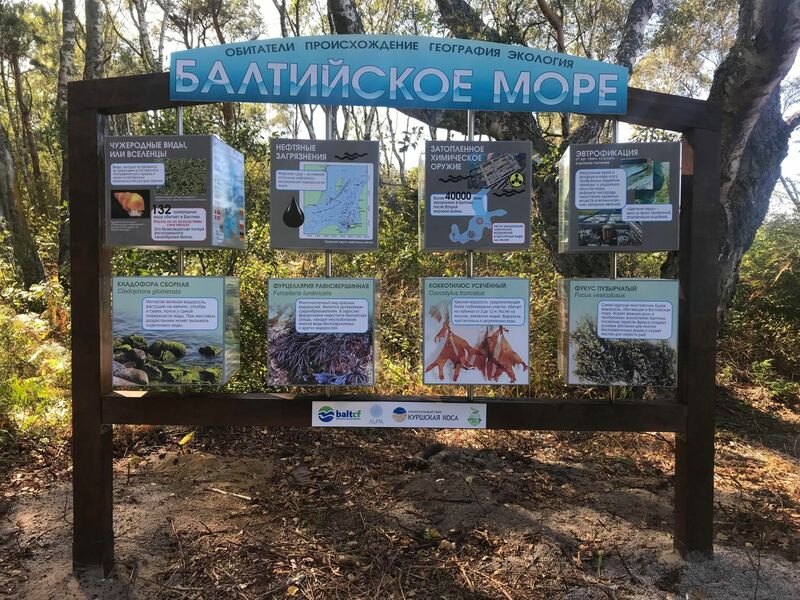 This project is aimed at rethinking the historical route “Royal Forest” in the national park “Curonian spit” as an ecological path for conducting classes on the problems of the Baltic ecology for schoolchildren of different categories. The national park “Curonian Spit” due to its geographical location has a huge potential in organizing environmental programs for schoolchildren, but at the moment none of the ecological paths has the appropriate infrastructure to create an educational environment. The most important activities of the project include adapting the ecological route to preserve fragile forest ecosystems, as well as to enable all categories of visitors to visit the route, including wheelchair users, and conducting a cycle of experimental classes on ecological issues for children in accordance with the age and forms of disability. The goal of the project is a formation of ecological consciousness and the development of the ecological culture of schoolchildren (including children with disabilities) by creating an educational environment on the ecological path “Royal Forest” in the national park “Curonian Spit”. preparing a case for replication of children’s learning experience, incl. With the disability of ecology in the reserves with an accessible environment by the Protected areas’ system of Russia.